Step #4: Enjoy a Glass of Wine! 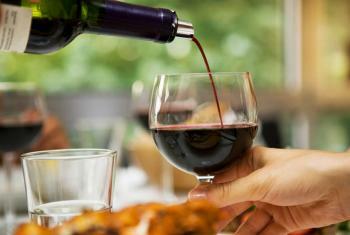 For many, when they think of wine, they think of France. France has a long and fascinating heritage as the mother of all wine-producing countries. But how did France become the established wine trend setter, the gold standard for so many producing countries? History, experience and exceptional terroir have all played a key role in building the French reputation for classic wines. .
First, a bit of history. The Greeks and Romans are credited for planting and growing the early vineyards. Then around the 5th century the church became the dominant keeper of the vine and the primary producer of the wines, used predominantly for the Holy Sacrament. 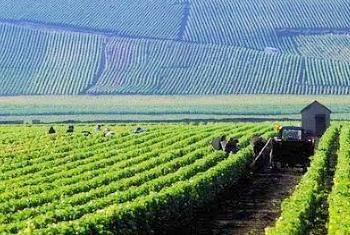 Through the centuries the vineyards of France continued to develop as did the foreign trade. However, in the 1800s many of the French vineyards fell victim to disease (primarily phylloxera – a small insect that destroys the roots of vines) that crippled the country’s dominating wine production. In the 1900s after France suffered economically under two world wars, contributing in part to a significant decrease in the quality and availability of prestigous French wines, the A.O.C. (or Appellation d’Origine Controlee – meaning “regulated origin name”) was devised. The A.O.C. outlined the standards for today’s modern wine regulations and laws that serve both to define grape growing regions as well as protect the quality of wines. The A.O.C. 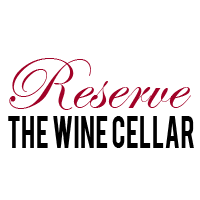 served to redeem the country’s wine reputation and determine structured protocol for quality and consistency within the French wine market. 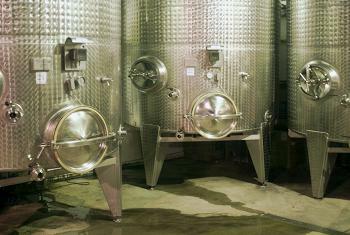 As for experience, the French winemakers have been honing their business for centuries. It is estimated that France has around 150,000 grape growers, producing about 1.5 billion gallons of wine per year. 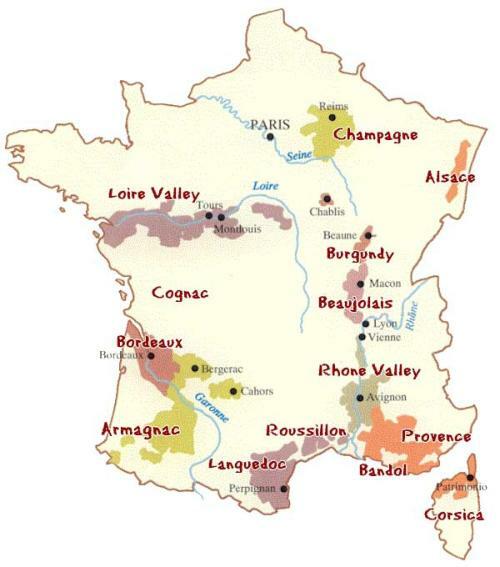 There are many recognized wine growing regions in France, spanning north to south and east to west. Alsace, Beaujolais, Bordeaux, Burgundy, Champagne, the Loire Valley, and the Rhone Valley are the big hitters with a myriad of vineyards sprinkled throughout the country. Virtually all classic grape varietals available today were sourced from France. French wines continue to serve as the archetype to which modern wines worldwide are evaluated against. 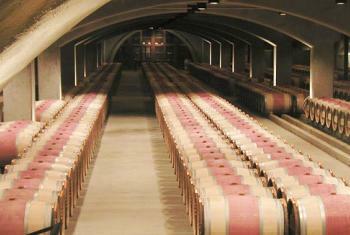 For example, a California Cab will be held to the tasting standards of a Cabernet Sauvignon from Bordeaux. In France, wines are typically named for the vineyard or growing region in which they were produced, rather than for for the grape varietal that was used.